Our draft format is pretty similar. Each player receives three Magic booster packs, they select a card from that pack and pass the rest to their neighbor. At the end of the draft, you’ll have enough cards to make a deck, you can grab basic land cards from our supply of them. 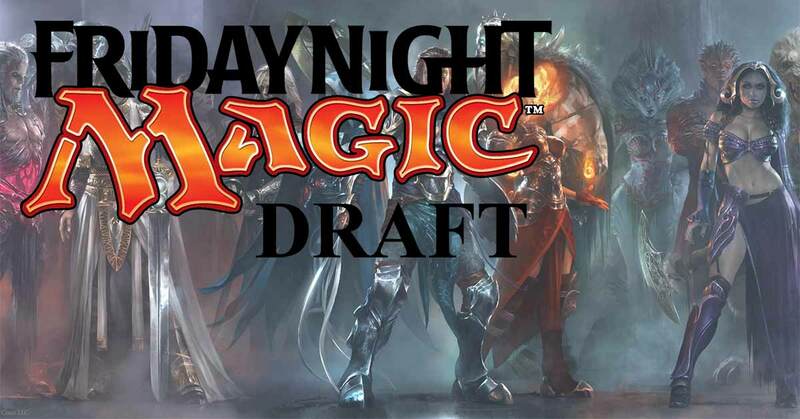 Our Friday Night Magic Booster Draft costs $15 dollars and includes all you need to play. Remember: To the winner goes the spoils. For each player participating we have a prize payout of 1.5 packs that go into a pool and are split between the top players in each draft pod.